The signing ceremony for the MOU was held between two research groups at Ngee Ann Polytechnic, Singapore on September 7, 2018. 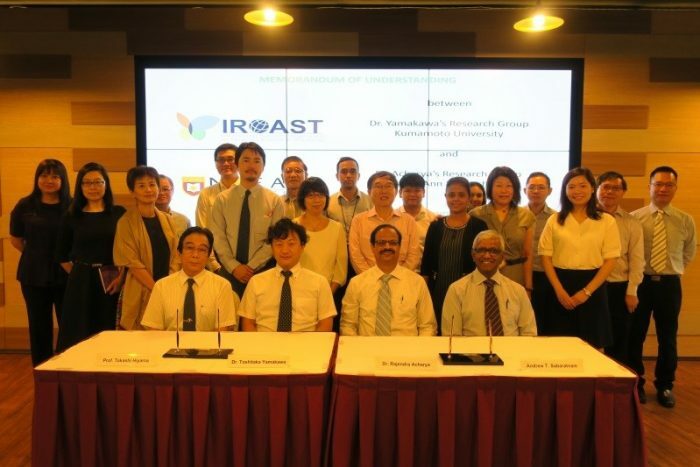 The two groups are as follows: Dr. Yamakawa’s group from Kumamoto University as one of IROAST adjunct research groups, and Dr. Acharya’s Group from Ngee Ann Polytechnic. 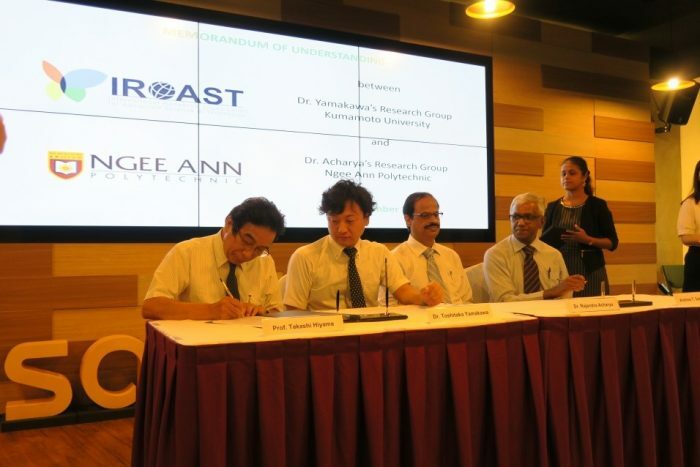 Photo1: From Left, Director of IROAST Prof. Hiyama, Dr. Yamakawa, Dr. Acharya, and Senior Director Sabaratnam. Photo2: Group photo with researchers and staff including Dr. Lim from Ngee Ann Polytechnic, and Dr. Kobayashi and Dr. Tanabe from IROAST.